Since the occupation of the West Bank and the Gaza Strip in 1967, more than a quarter of the Palestinians have been imprisoned by Israel on political grounds. 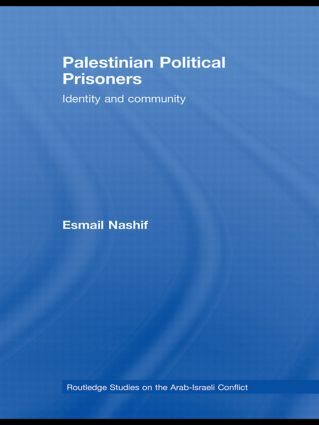 This is the first major study that examines the community of Palestinian political prisoners in the Israeli prison system. Esmail Nashif explicates the processes that transformed this colonial system into a Palestinian generative site for constructing national, social, and cultural identities. Based on ethnographic, archival, and textual data, the book explores the material conditions of the prison, the education system, organizational structure, and the intellectual and aesthetic dimensions of the community’s building processes. Like other political prisoners in the late colonial era, in the Arab World, and South Africa, the Palestinian prisoners over-invested in meaning production and its related techniques of reading, writing and interpretation in order to regain their historical agency. This community came to be one of the major sites of the Palestinian national movement, and as such reshaped the realities of the Palestine/Israel conflict at many levels that challenged both the Palestinian national movement and the Israeli authorities. Theoretically grounded, well-written and illuminating, this book covers a field which is not very recurrent in the academic works and is certain to advance Palestinian scholarship substantially.